....READY . FULLY VACCINATED .... CHURCHCHIS is LICENSED. VET APPROVED AND REGISTERED. ... .NO PHONE TEXTS PLEASE ... www.churchchis.com HANDSOME SMOOTH COAT KC LITTER x2 Boys . 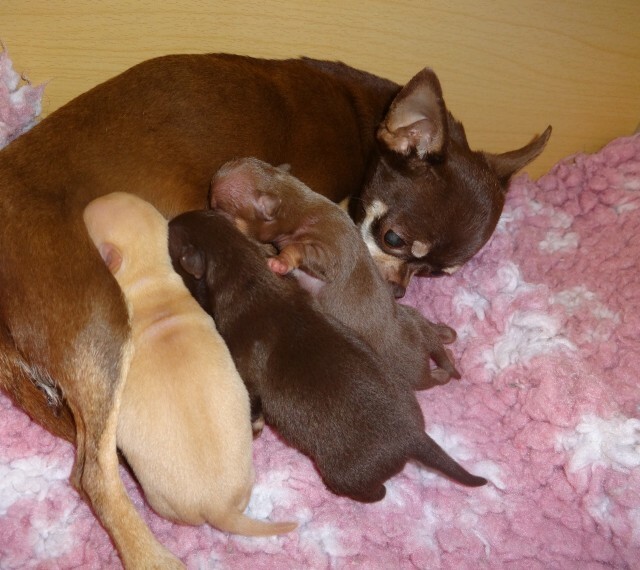 1 BEAUTIFUL MEGA TINY Girl IF ADVERT IS STILL BEING ADVERTISED THEN THESE GORGEOUS PUPPIES ARE AVAILABLE AS STATED. UPDATED REGULAR NEW PRICE FLEA . WORM TREATED FROM 2 WEEKS HAVE BEEN VET CHECKED 100. HEALTHY WITH FULL SET OF VACCINATIONS . MICROCHIPPED. CRATE TRAINED USING GARDEN FOR TOILETS KC Chocolate . Tan Mum . KC Tiny Lilac . Tan Dad .... PLEASE READ ALL THE ADVERT BEFORE CONTACTING ME . DISCUSS FIRST WITH FAMILY MEMBERS.. IF I CAN NOT ANSWER.LEAVE A MESSAGE.I WILL CALL YOU BACK ASAP. I DO NOT CHASE MISSED CALLS WITHOUT A MESSAGE LEFT SORRY FROM....... . ACTUAL PUPS IN PICTURES. LAST 7 TAKEN 06.09.18 DOING VERY WELL WITH CRATE TOILET TRAINING. LOVING LITTLE CHARACTERS. FULL OF FUN. 1 x V SMALL KC CHOCOLATE . TAN BABY BOY .650 1 x V SMALL KC GOLDEN.PEACH BOY .695 SOLD 1 x MEGA TINY CHOCOLATE . TAN .1100 SOLD Puppies Will Leave with .Kennel Club PAPERS .5 Generation OFFICIAL PEDIGREE . FULL Vet Health check with First set of Vaccinations . Microchipped . Kennel Cough Vaccinated . Birth Folder . Bag of Royal Canin Mini Junior . voucher for x1 bag FREE . Blanket . Bowl . Toy . FREE 4 weeks Pet Plan insurance . of course loads of TLC ... Thank you .